WITH OVER 100 YEARS OF COMBINED EXPERIENCE, EVERY PROFESSIONAL ON THE ESSEN ENTERTAINMENT TEAM HAS A STELLAR REPUTATION & A LEVEL OF TALENT & EXPERIENCE THAT ALL OUR CLIENTS EXPECT & DESERVE. SCOTT MORRISON Guitar Player/Singer Scott Morrison has been wowing audiences across the country for the better part of a decade with a variety of classic rock, blues, soul, funk, folk, and just about anything in between. Scott's playlist consists of of over 500 cover songs that you will know and love! 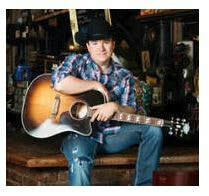 Scott's talent and professionalism helps him stand out among private event entertainers. Let Scott help you add that special touch to your event! ARNOLD YZAGUIRRE Classical Guitarist Arnold is a classically trained guitarist and a highly talented performer and teacher. 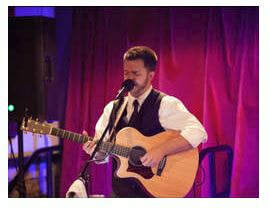 Arnold's acoustic guitar instrumentalstylings are perfect for your pre-ceremony, ceremony, cocktail, and/or dinner portions of your event, adding a level a class and sophistication that can be appreciated by all! Arnold studied classical guitar with with Robby Gibson, Aleksandr Tsiboulski, and Adam Holzman at the University of Texas at Austin. 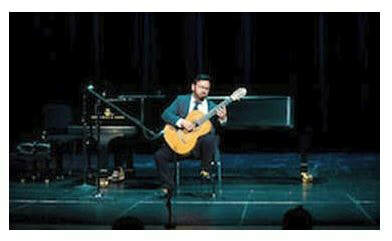 Arnold has also performed in several master classes with recognized guitarists such as Philip Hill, Douglas Rubio, Adam Holzman, and Pasquale Rucco. Arnold actively performs as a solo artist and with singers. Having Arnold perform at your event will have your guests say " WOW!" Request him today! SCOTT GRAHAM Pianist Scott's piano solos are passionate and driven, yet soothing, creating beautiful music that takes you on a wonderful journey. Scott is Houstonian and renowned pianist and composer with over 18 years experience in the music industry. Classically trained with a B.A. in The Theory of Music Composition and a Minor in Piano, his repertoire embraces the sounds of yesterday and today. Focusing on works from the 1920's to present day, he has mastered a variety of styles including classical, new age, standards, pop, top 40, country, jazz, easy listening, and various piano arrangements of popular tunes. BRUCE COURTNEY The Rat Pack Comes Alive Do you like Frank Sinatra or Micheal Buble, maybe some Dean Martin and Harry Connick Jr.? If so, then you want to request Bruce Courtney! Bruce's ability to evoke this classic style of music through his smooth vocals and cool demeanor is a treat to audiences of all ages and backgrounds Bruce's singing is perfect for the cocktail and/or dinner portion of your event! Bruce is professional is every way and can be a wonderful addition to your big occasion!